Awesome, huge beach! We always find so many beautiful pieces of glass here ... mostly greens, aquas, whites and browns, with the occasional cobalt. This beach also has beautiful rounded, smooth basalt rocks if you love beach rocks, too! Greens, aquas, whites and browns, with a few small pieces of cobalt and/or cornflower blue. There are, of course, always pieces with the unpolished edges, but we just throw them back to 'finish'! Every time I go to Headlands Beach, I find a small handful of beach glass (after about 2 hours of looking). 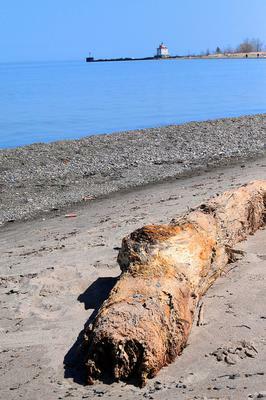 The idea is to look along the small stones on the shoreline and possibly against driftwood near the shore. Spread the rocks lightly or dig slightly to reveal beach glass. Sometimes, it will be sitting right on top of the stones, though. A variety of beach glass can be found. The most common are green and clear/white. Brown, light blue and cobalt blue are the next most common. I've seen yellow and red, but, those are somewhat rare. The beach closes at dusk. 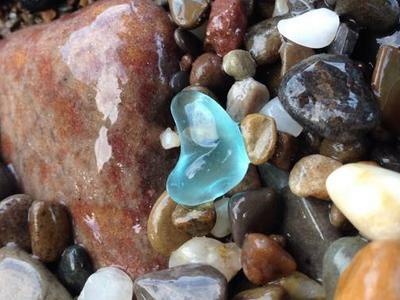 With 3 experienced beach glass hunters looking, we found over 100 pcs with-in 2 hours. Not sure of the quality but the quantity more than makes up for that. Most of the colors were white, brown, green and turquoise. We did find a few cobalt pieces but unfortunately no red. The pieces were well rounded and frosted. We always have good luck no matter what time of year we visit. 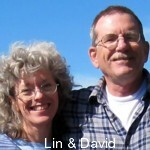 On a good day you can find up to 10-15 good jewelry pieces an hour - whites, browns, greens. We always go home with some real cool tiles, marbles and just a couple fun colors like reds, orange, blues. On an off day you might only find 5 big good pieces and plenty of smalls. This is a public beach with miles to search so feel free to spend the day there and grill up some all American food, be sure to check for closing times since the restrooms and outdoor showers close up. Headlands Beach State Park is a public beach in Mentor and Painesville Township, Ohio, USA. 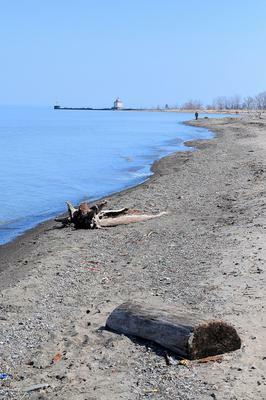 It is the longest natural beach on Lake Erie. The park is between the Mentor Marsh and the Grand River. It is next to Fairport Harbor Coast Guard station and the local Morton Salt mine. 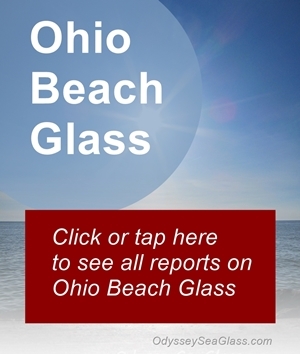 The Cleveland The Plain Dealer ranked Headlands as Ohio's Best Beach. The mile-long beach attracts two million visitors a year from the US and Canada. The breakwall at the eastern end of the park, frequented by fishermen, has Fairport Harbor West Breakwater Light. We appreciate this report - and all reports we receive. However, when evaluating a report, use good judgment. No photos were included with these report.